The word lithium may not evoke marvels to you because you most probably associate with bi-polar and that might actually conjure up dread rather than marvel. That is understandable because our association with lithium is most often linked to lithium as a medication rather than as a mineral. In fact, when I suggest that clients take lithium in the form of lithium orotate (a classified dietary supplement), most often, they respond with whiffs of dread rather than excitement. So why get excited over lithium you might continue to wonder? Well, lithium as a mineral is actually present in a variety of foods and beverages that a human consumes on a daily basis. The dosage of lithium is crucial as it would be with all substances that we consume. In the lithium medication, (a chemical compound known as lithium carbonate) the amounts of elemental lithium are tenfold the amounts of elemental lithium available in lithium orotate. And that is crucial in how our liver is affected. Therefore, lithium orotate is a safe, marvelous supplement. Now, that I have you hooked on reading more, let me tell you about its marvels. Lithium orotate can be utilized in treating numerous debilitating conditions, including depression, PTSD and alzheimer’s, among others. As a dietary supplement it is used in small doses to alleviate numerous conditions like depression, aggression, PTSD, Alzheimer’s, ADHD, ADD, and alcoholism. Lithium is commonly found in drinking water and in numerous foods, like grains, fish, dairy, meat, vegetables, pistachios, kelp, and blue corn. Additionally, some regions with fresh water, like river basins, often have higher concentrations of lithium. Along with counseling and a good nutritional program (that includes important supplements like B6, Vitamin D and Omega 3’s), the proper use of lithium orotate positively enhances certain individuals’well-being. Numerous individuals have noticed improved mood, motivation, lower stress and increased focus when taking lithium orotate. Unlike the common prescribed forms of lithium in the form of lithium carbonate and lithium citrate which have numerous side effects, lithium orotate has been shown to be actually safer than these other forms of lithium. Lithium orotate has a “GRAS” status, meaning that it is ‘generally regarded as safe’ (having the same status as natural food supplements in health food stores). Again, lithium orotate is a not a drug but is a mineral, part of the same family of minerals that includes sodium and potassium, according to Jonathan Wright, M.D., author of “The Importance of Lithium Supplementation”. Known as America’s top authority on lithium orotate, Dr. Wright believes that certain amounts of lithium, when taken properly, can be considered safe. Lithium orotate supplements are often sold in doses of 5 to 10 mg of lithium ion in pills that might contain 120 mg of lithium orotate (i.e., a pill might contain 5 mg of lithium and 115 mg of orotate). However, when taken at safe and low doses, lithium orotate can beneficial to individuals with debilitating conditions. Mark Hyman, M.D., best-selling author of “The UltraMind Solution” also believes that lithium is an essential micronutrient and is present in all organs and tissues in the human body. If you have tried lithium carbonate or lithium citrate and had numerous side effects, you might try lithium orotate, with your physician’s approval. Lithium orotate does not require any blood tests, doesn’t require a prescription, and doesn’t have any remarkable side effects. However, any individuals with renal or cardiovascular disease who are taking ACE inhibitors or diuretics need to consult their physician before using lithium orotate. In addition, lithium orotate should not be taken by nursing or pregnant women. Many veterans suffer from PTSD and depression. Dr. Mark Millar, a leading authority on lithium orotate, published an eBook, “Veteran Suicide Breakthrough: Revealing the Breakthrough Mineral for Suicide Prevention, PTSD and Depression ‘They Definitely’ Don’t Want You to Know About”. In his eBook, Dr. Millar discusses lithium’s effects on both the brain and the human body. Although lithium orotate is not intended to be a ‘cure all’ for any symptoms or disease, its proven benefits can outweigh such debilitating illnesses as manic depression, PTSD, Alzheimer’s and alcoholism. In addition to reporting to be beneficial to Alzheimer’s patients, lithium has been reported to help in animal models of brain injury, stroke, spinal cord injury, Huntington’s, Parkinson’s and Amyotrophic Lateral Sclerosis (ALS) diseases. Some clinical trial studies suggest that lithium stops ALS progression. 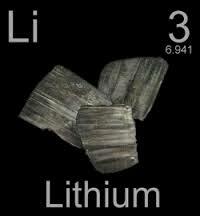 It is widely known that lithium has been one of the oldest and most researched treatments for emotional problems. According to John Gray, author of “The Mars & Venus Diet and Exercise Solution”, many relationship problems and some addiction problems stem from a deficiency of amino acids and minerals in the body. The author states that lithium helps balance the production of two hormones, dopamine and serotonin. If you think that lithium orotate may help you, it is always best to discuss your concerns or potential side effects with your health care provider. It is also recommended that you discuss with your doctor any current supplements and/or medications, your diet and your overall health.